All lectern models with a wood body type are coated with your choice of wood type: HPL or Veneer, as well as your choice from hundreds of solid colors. HPL stands for High Pressure Laminate, also called laminate or synthetic sheet. HPL is typically constructed of several layers of kraft paper generally impregnated with thermosetting phenolic resins; the decorative and wear layers are saturated with thermosetting melamine resins. Thanks to the strong surface of HPL no special treatment is required. It is easy to clean. 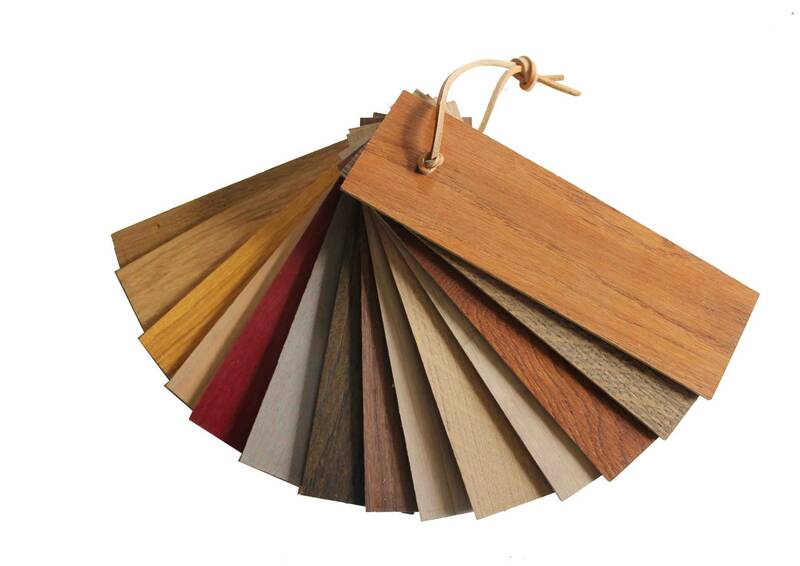 HPL is available in all types of wood and many colors choices. Upon order, you select from our catalog which will be send to you free of charge. If known, we can match most HPL manufacturing codes to match your interior. We work with well known HPL brands and can almost always match your desired HPL. Veneer is a thin layer of cut wood obtained from one log. The thickness of the veneer is between 0.5 and 2 mm depending on the wood species used and/or the application. Veneer must always be finished using varnish, oil or wax. Left untreated, it is sensitive to staining and it is more vulnerable to scratches than HPL. If you opt for veneer we will advise you on the right choice for your lectern.